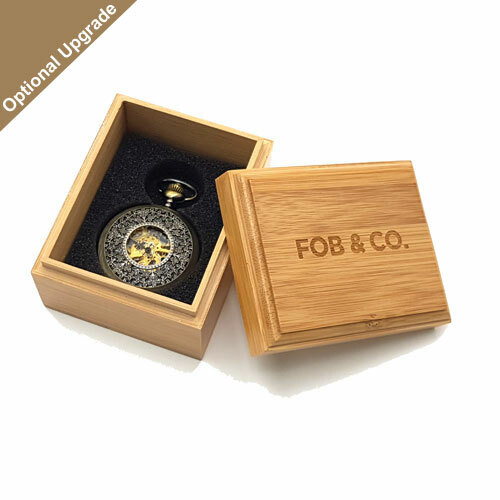 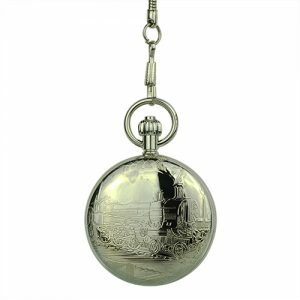 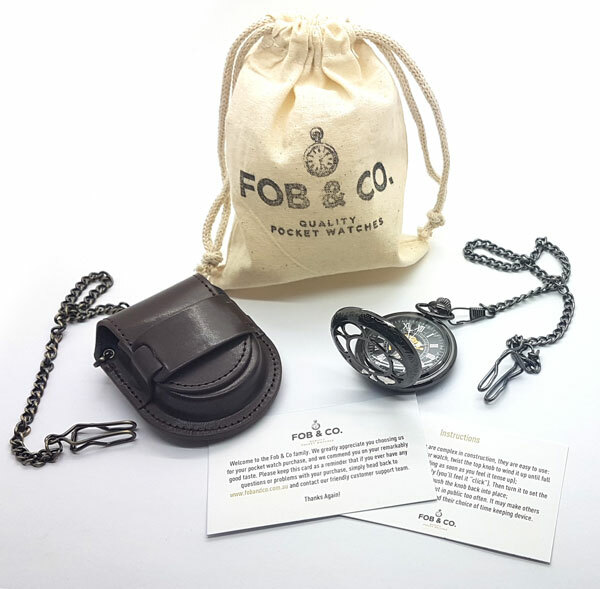 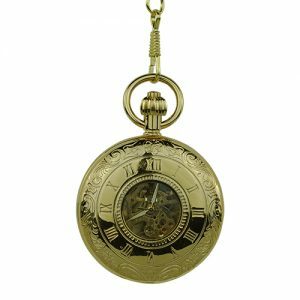 Black Ultra Gold Filigree Half Hunter Pocket Watch - Fob & Co. 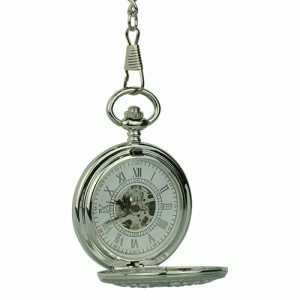 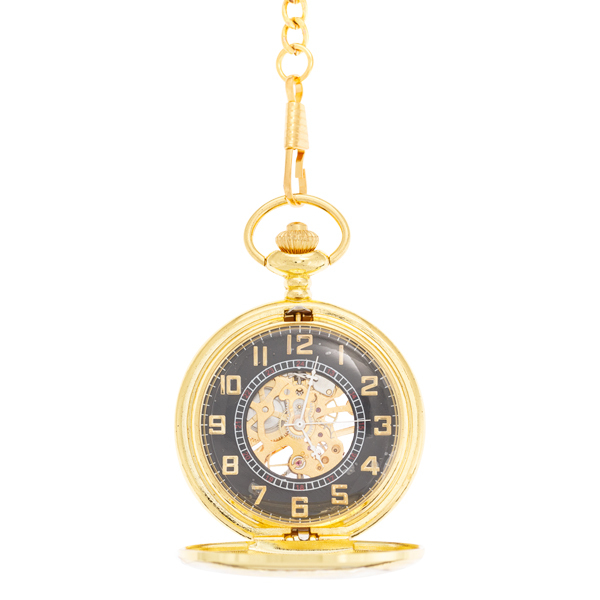 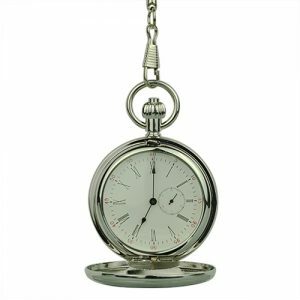 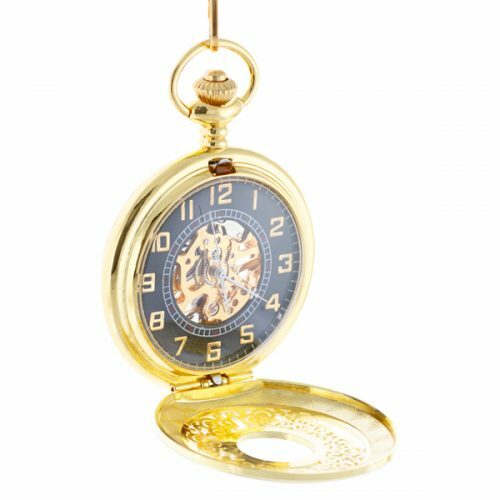 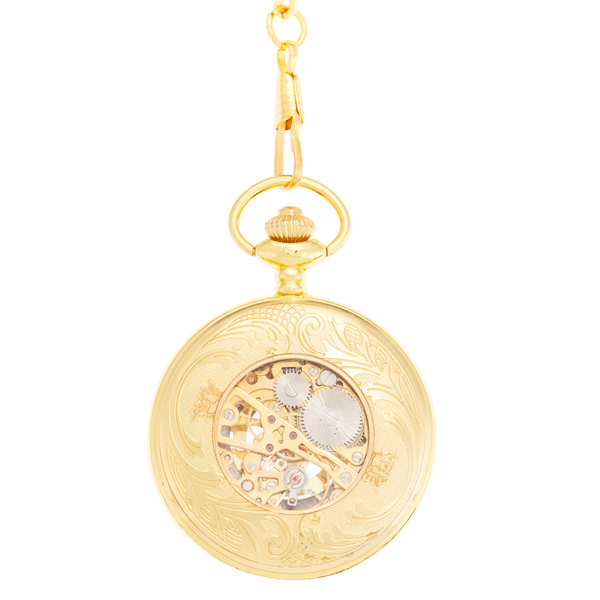 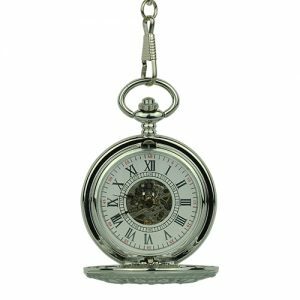 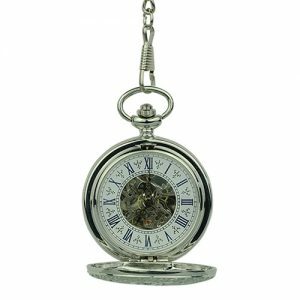 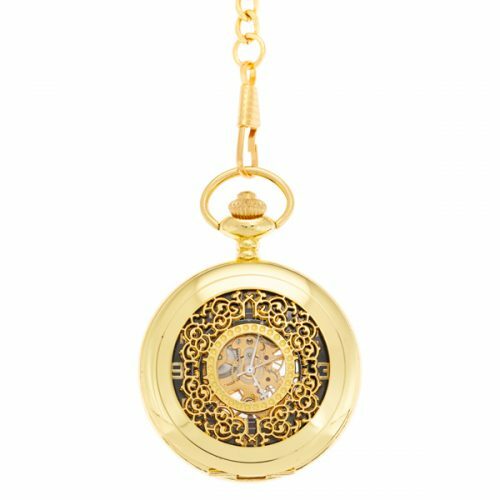 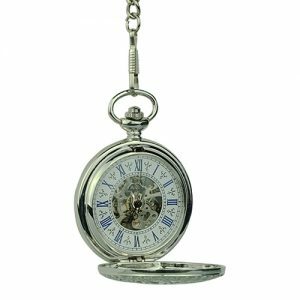 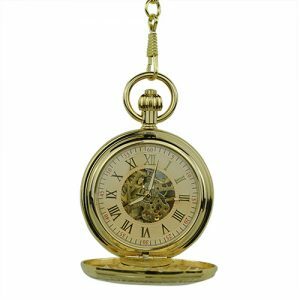 Gleaming gold is the colour of choice for this half hunter pocket watch that bears a cover with a beautiful, intricate pattern. 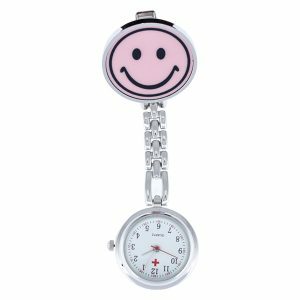 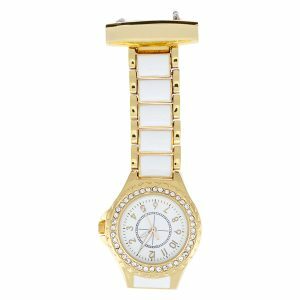 Many viewing windows make it a pleasure to view the inner workings on this stylish timepiece.